I have been so busy working on paintings in my newest series of work. This one is entitled Crows with a Tree. 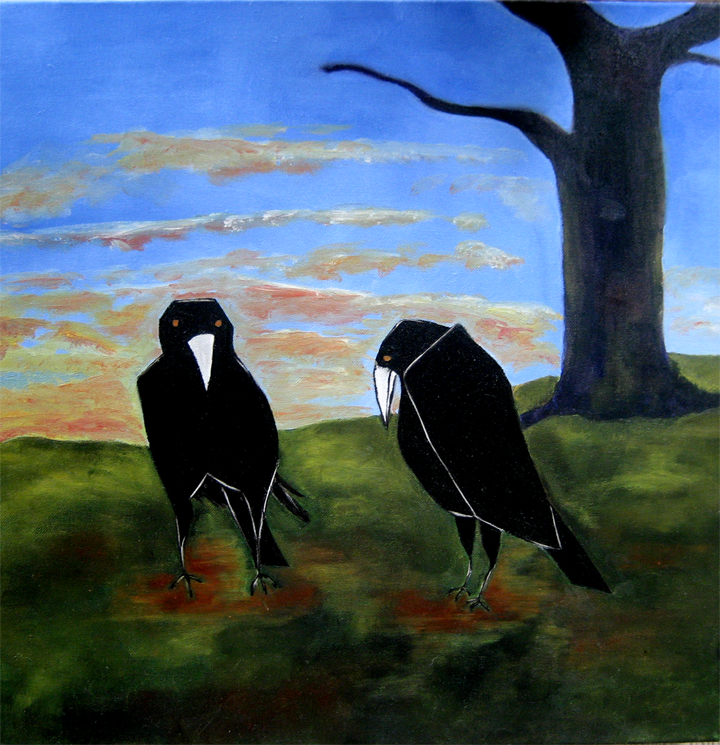 This is an original oil painting of two crows watching the night fall. 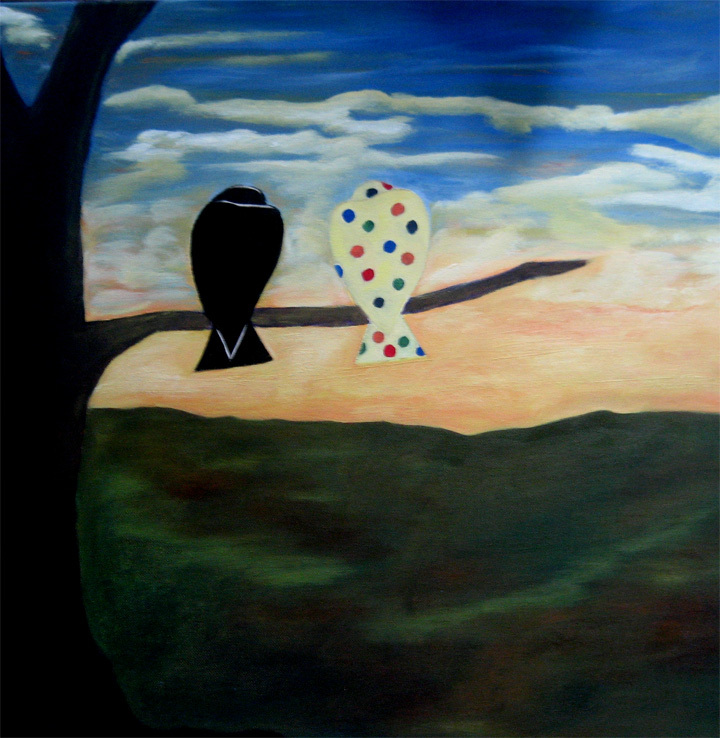 The spotted crow is a tribute to one of my favorite books when I was growing up “Put Me in the Zoo” by Robert Lopshire. The colors used are rich and allude to the peacefulness that comes with the setting sun.